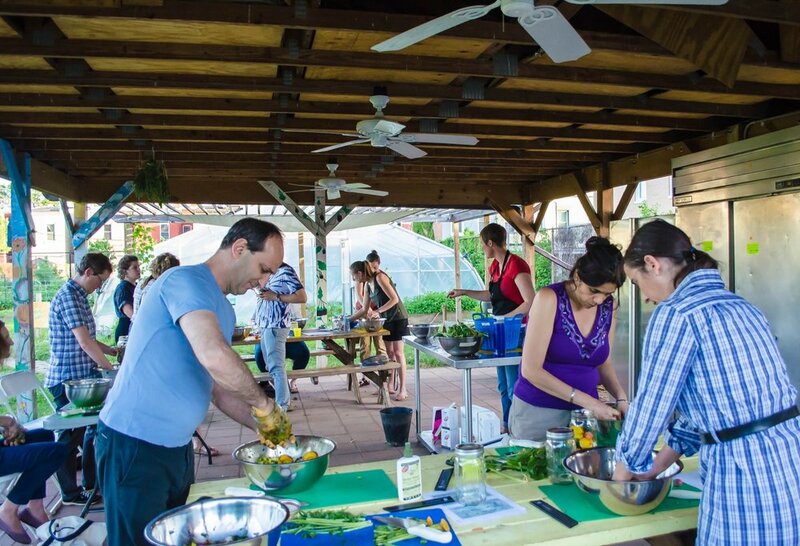 Common Good City Farm aims to create a vibrant, informed, and well-nourished community through urban farming. Spring’s arrival means that we are getting close to our season kick off and the start of our youth programs. Join us for our 8-month herbal medicine program with Little Red Bird Botanicals. As typically happens by the time March rolls around, we are definitely getting tired of folks asking us what we do all winter, or saying things like “you must be relaxing at this time of year”. There are many ways you can get support Common Good City Farm, both on-farm and off. With your generous support, we can reach our vision of creating a vibrant, informed and well-nourished community.